For people who suffer from kidney failure, dialysis is part of their daily life. It is a procedure that performs the duties of kidneys – filtering waste from the bloodstream. Regular dialysis can allow individuals to continue to live productive lives even though their kidneys no longer work adequately. A prolonged lack of dialysis however can result in death. In developing countries, like India and Pakistan, medical facilities are limited and unevenly distributed between urban and rural areas. The specialist nature of dialysis therefore, means treatment is rare and for rural persons, rarer still. 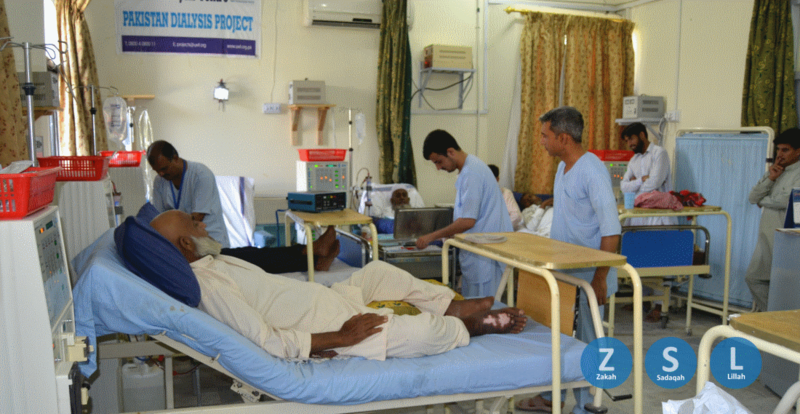 Ummah Welfare Trust is addressing this by providing free dialysis to poor rurally-based Muslims in India and Pakistan. Since the inception of this project, many sick patients – who could not otherwise afford treatment – have benefitted alhamdulillah. Though not an obvious project for donors, the rewards for helping prolong the life of a fellow Muslim are undoubtedly great. Zakah, Sadaqah or Lillah can be given for this. patients given free regular dialysis in the past year.